Major studies of American foreign relations treat US failures in Vietnam as the end of both a short-lived American empire and western imperialism in Southeast Asia. Ngoei argues that Vietnam was an exception to the region’s overall pro-US trajectory after 1945, that British neo-colonialism and Southeast Asian anticommunism melded with pre-existing local antipathy toward China and the Chinese diaspora to usher the region from formal colonialism to US hegemony. From Syria to Yemen to Ukraine, the practice of great powers covertly meddling in local wars is alive and well. To mark the launch of his new book, Austin Carson traced the emergence of such practices in the 20th century. He analyzed what governments choose to keep secret during wars and how leaders use this method to cope with distinctly modern war escalation problems. Carson also explored how rival states both collude and compete, while attempting to manipulate the optics of war to keep military confrontations under control. 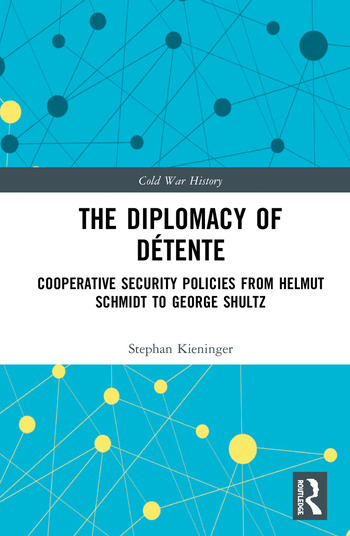 Stephan Kieninger's book looks into Helmut Schmidt's and George Shultz's statecraft and into their contributions to the longevity of détente in Europe amidst international crisis.